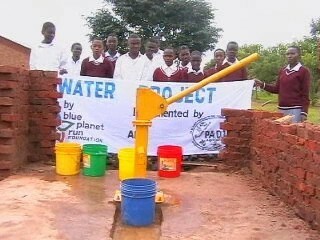 We planned the implementation of the project to start on 30th Nov.2008 and expected to be accomplished on 30th Jan. 2009. 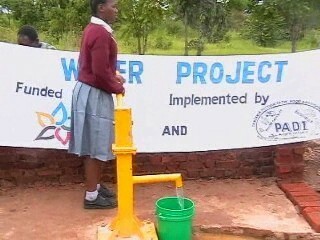 The actual situation is that the project started 16th Dec..2008 and accomplished on 15th March 2009. 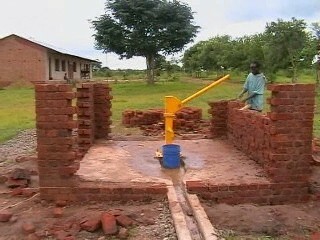 Water technician managed to accomplish the work as we planned but school community failed to complete pump house in time due to the fact that during the time when the project started, most of the school community were in leave almost up to the end of January 2009 when the school re-opened. PADI managed to mobilize the head of schools where each of them was given a responsibility of organizing some people who could be responsible to support well technician, monitor by forming WMF and WMC. Basically all of them agreed with the plan and they did so. WMF valuing USD.78.74 and 10 people of WMC has been formed. 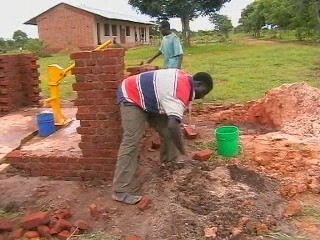 All building materials reached at right time soon after receiving funds. 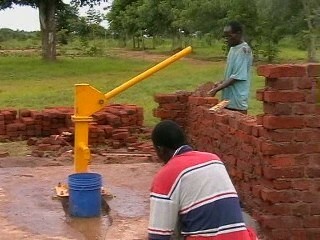 This enabled the water technician to manage to install the pump in time and is working properly. The one day training on how to care and use the water for drinking and sanitation has been done to over 600 participants (Water Monitoring Committee, students and school staff). 10 Water Monitoring Committee received training for a single day while Students and other community attended one day sensitization meeting on sanitation. Luwawasi Sec. School is among over 150 Sec. 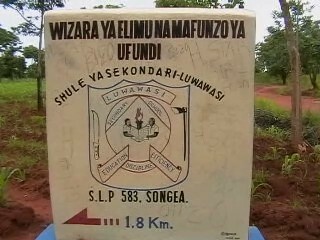 Schools in Ruvuma region and over 25 schools in Songea Municipal Council. 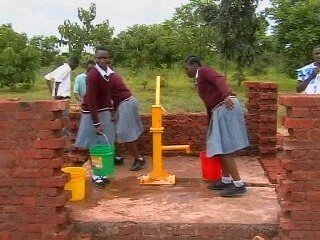 Among the critical problems we face especially new school include shortage of Safe and clean water, Luwawasi is included. For more than 4 years now the problem has been part of our lives. Most of us have been facing problems including long distance walking, suffering from water borne diseases due to the fact that water sources are unsafe for drinking. 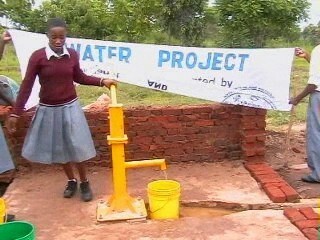 We are now getting safe drinking water, cooking, washing fruits, and washing our hands and other sanitary works. Also we walk short distance (from more than 1km to less than 100 meters long). 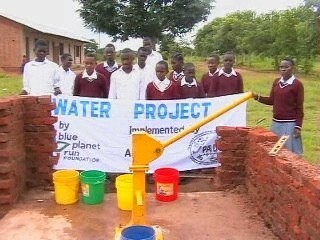 At the same times we plan to use the same pump water to irrigate flowers and trees around our school Compound. In coming 12 months we really think our school surrounds will be better than before. We finally say thank you BPRF for your appreciable support. 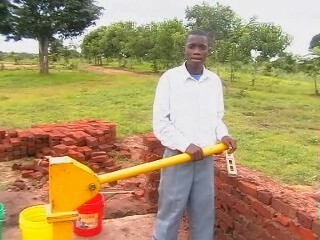 James M. Komba a Head Prefect of Luwawasi when interviewed on the support of water pump (bore hole) in their school he had the following comments: “Our school is among several school facing similar problem like ours (shortage of safe and clean water). 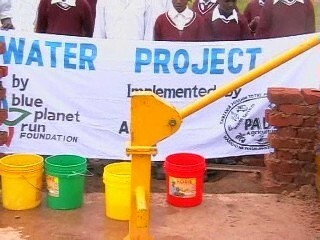 Though we are enjoying clean water now but I am feeling like a person dreaming to get some water. This is just because we had no dream to receive such support this yea though our head master has been struggling to get the service from Songea Municipal council without success. For almost 4 years now we have been using Local dug well which usually un- safe for our health and we found it far away from the school (over 1km).To day we only walk less than 100 meters and less time used. We hope academic performance will be improved as we are going to use save time in academic issues, thank you for including us be among few schools which have received this scarce commodity”. 670 (where 607 are students, 12 school staff and 51 are community around school) 52% of the population are female. Reported by the head of the School. 670 (where 607 are students, 12 school staff and 51 are community around school) 52% of the population are female. 612 people are using the same source of water in school buildings construction , flower and tree irrigation, improving classrooms and toilets cleanliness.